Edinburgh, 2nd March 2016 — EXTERITY Ltd is pleased to announce that the company has been named an official InfoComm International Renewal Unit (RU) Provider. This will allow the more than 9,000 professionals holding InfoComm International’s Certified Technology Specialist credential to earn renewal units towards their certification by completing certain Exterity education programs. 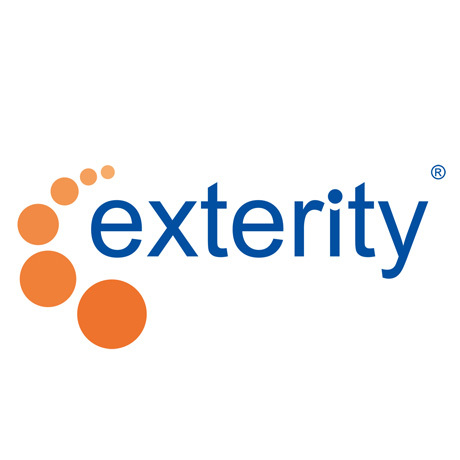 For additional information on programs and availability please visit us at exterity.com/support/training. Since 2001, Exterity has been designing, developing and manufacturing technically innovative products that deliver networked video over IP to many leading organizations across the globe. Exterity solutions enable the distribution of HD quality TV, video and digital signage over enterprise IP networks to an unlimited number of end points, supporting large volumes of content and receiving devices without compromising system performance or availability. Headquartered in Scotland UK, we extend our global reach through our offices in Atlanta, London, Melbourne, Paris, Munich, Dubai, Hong Kong and Johannesburg. Localized knowledge and expertise is enhanced through the Exterity StreamForce program of credible, technically innovative partners, plus an extensive network of in-country resellers and distributors. InfoComm International’s Certified Technology Specialist, Certified Technology Specialist –Design and Certified Technology Specialist – Installation are the only audiovisual certification programs accredited by the International Organization for Standardization’s (ISO) United States representative, the American National Standards Institute (ANSI). Accepted by the U.S. Veterans Administration for reimbursement under the Montgomery G.I. Bill, InfoComm certification programs are designed to establish and maintain widespread credibility for the audiovisual industry and the professionals who perform the work. InfoComm’s CTS, CTS-D, and CTS-I renew their credential every three years through continuing education. Each renewal candidate is required to attain 30 renewal units (RUs). To learn more about InfoComm International and the Certified Technology Specialist (CTS) accreditations, visit infocomm.org/certification.